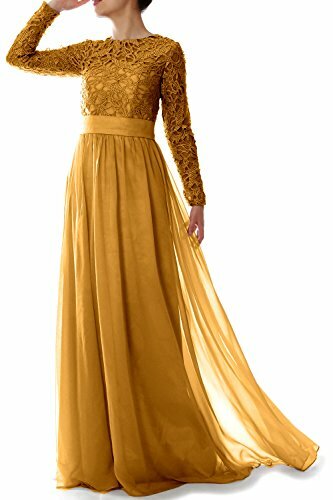 Sheer material with lacy embellishments stretches over the upper section of this gorgeous floor-length dress. Matching long-length sleeves put a unique twist on things. A tonal waistband gives way to a simple, nicely flowing floor-length skirt. It is great for formal party, celebrity party, bridesmaid, banquet, military ball, evening, wedding party and other special occasion.